I recently finally got around to airlayering the top of this tree in training. The trunk is much too tall and the apex curves, ruining the formal upright image of the rest of the tree. The tree should look less lanky in future with the top removed. Still tall but hopefully elegant as opposed to unsightly. 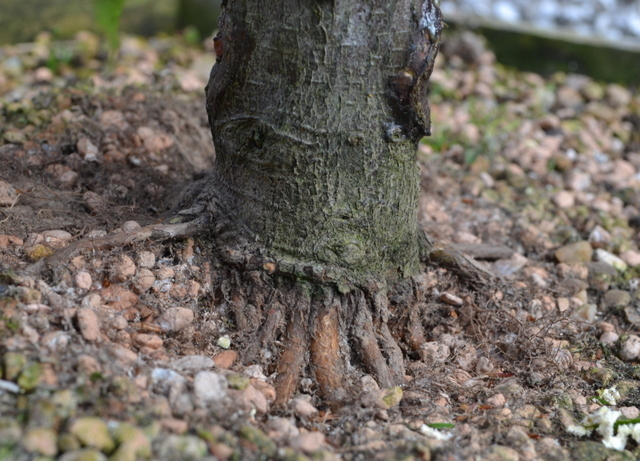 I also finally performed a threadgraft on the lower trunk to hopefully fill in a large gap on one side. 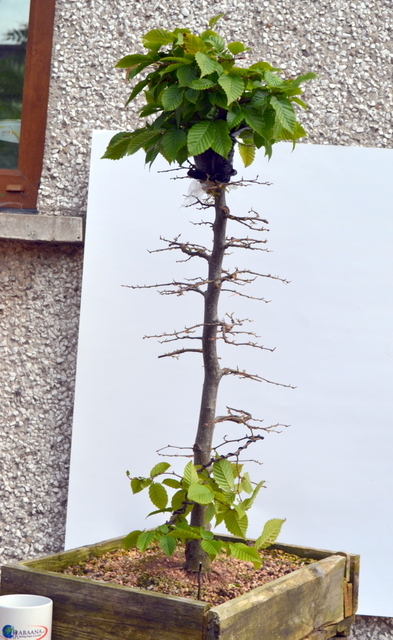 The lowest branch used to perform the graft was kept with foliage to promote quick growth. The defoliation of the rest of the tree will hopefully help this too. Before. July 2015. Note the bare section of trunk on the lower right. The threadgraft on the lower right. 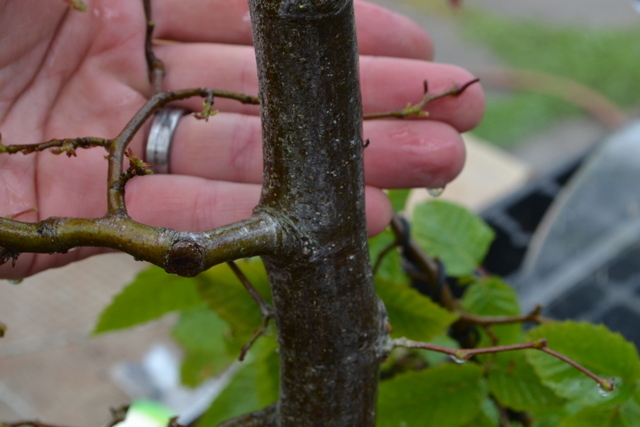 In front of my fingers you can see a back branch that naturally curves round to that side. Its being grown on anyway in case the graft fails. After a few years of clip and grow I’m happy with how the ramification and branch taper is starting to develop. 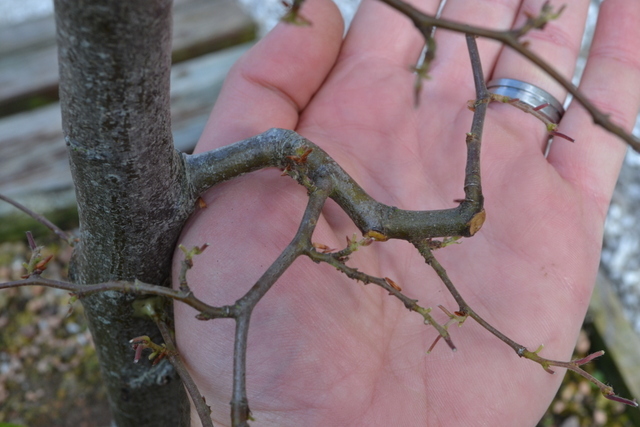 Since this last photo, I’ve decided to decided to defoliate the entire bottom branch as well. 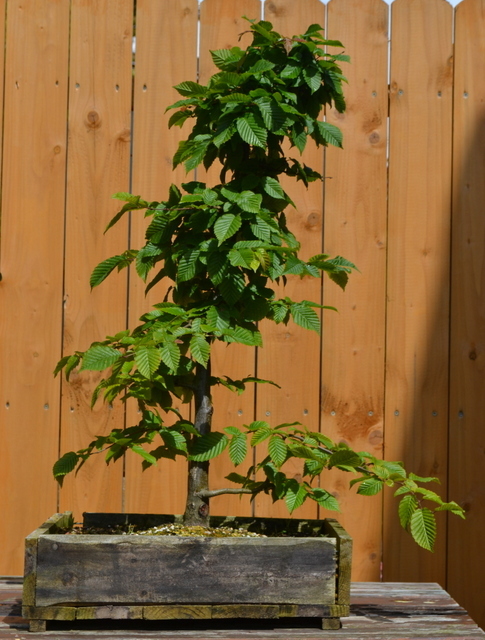 The airlayer should make a nice wee shohin tree but if it takes will have to be kept in the greenhouse as it’s late in the season to perform this kind of work.